What Issues Will You Be Voting On? 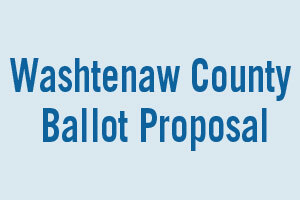 Click on the boxes below for information on proposals that Ann Arbor voters will see on their Nov. 6 ballots. Those issues include designating the "Library Lot" property as an urban park, authorizing a tax for parks maintenance, and changing the procedure for filling vacancies in elective offices. Several other communities and districts outside of Ann Arbor will have ballot proposals as well. Check out this list on the county elections website for more info. Click on each category to see all Ballot Proposals for that region.